Jose Mourinho has been out of work since leaving Man Utd in December, but he doesn’t plan on spending too much longer out of football. As noted in the club’s official statement, they opted to part company with the Portuguese tactician on December 18 after an underwhelming first half of the campaign. Since then, the former Inter, Chelsea and Real Madrid boss has spent time doing punditry work, but evidently he misses coaching and has revealed that he hopes to be back in the game this summer. 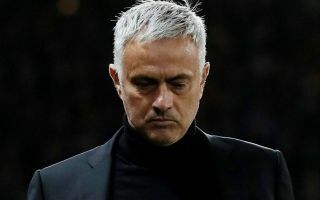 It would be fascinating to know which clubs or perhaps nations have offered a job to Mourinho since he left Old Trafford, as despite the hit that his reputation took in the latter stages of his stint in charge at Man Utd, he remains one of the top coaches in world football. Nevertheless, his next role will be crucial as it will either reinforce question marks over his future success or silence his critics and suggest that he can still coach at the top level and win more trophies. Time will tell which club is willing to take that potential risk and give him a job this summer, but United have seemingly benefited from opting to sack him with interim boss Ole Gunnar Solskjaer leading a resurgence over the last three months to get them back into contention for a top-four finish in the Premier League. For Mourinho though, it will be about undoing the damage he sustained last year, and starting a new project and challenge to reestablish himself.